No more trying to remember everything that happened with your condition in the past year! Living With brings health life management in line with how people manage their lives in the 21st century. 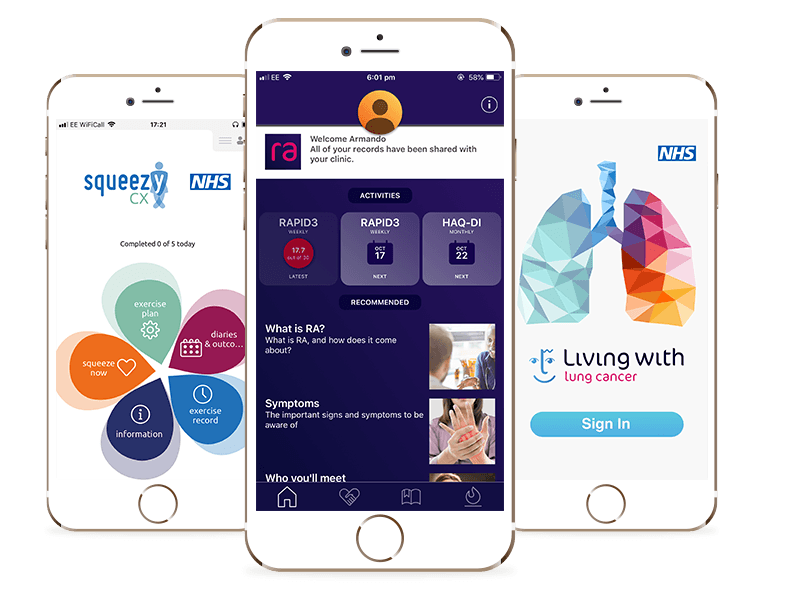 Our mobile condition tracking apps focus on the key indicators that will help people understand the state of their condition and help them communicate with their clinicians – ending the frustration and pressure of having to remember and recount all fluctuations for the past year. All of which happens simply by filling out assessments, completing diaries, reporting problems or flares, or reading articles – as recommended in a personalised plan set by the clinician. Which means that clinicians are able to better tailor treatments to each individual’s needs so people can stay healthy for longer.